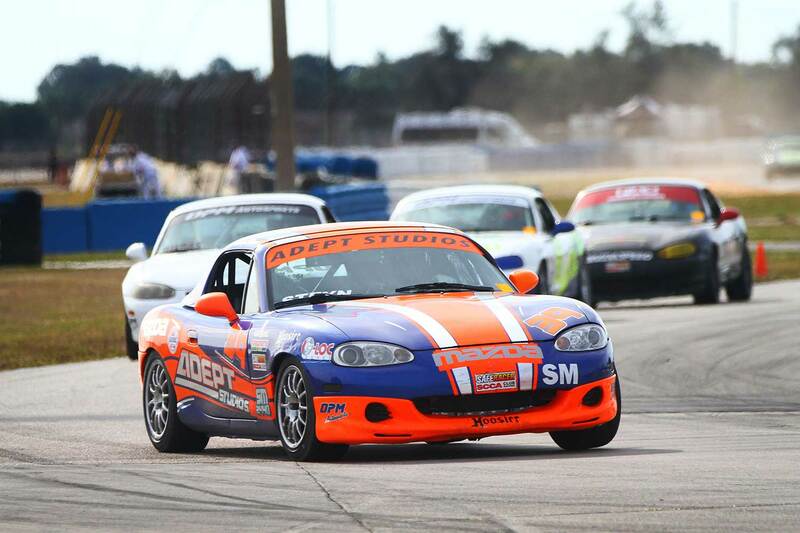 Home / Years / 2016 / Sebring Turkey Trot – 3 poles, two victories and a lap record. What a great way to end the season! 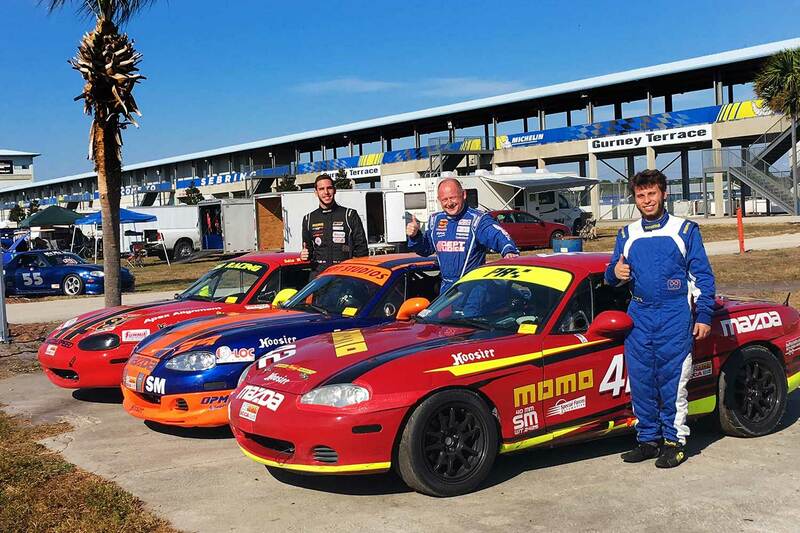 Danny Steyn qualified his OPM built Rossini powered Spec Miata on the pole for Saturdays Race 1, out qualifying Preston Pardus, Todd Buras and Alex Bolanos. 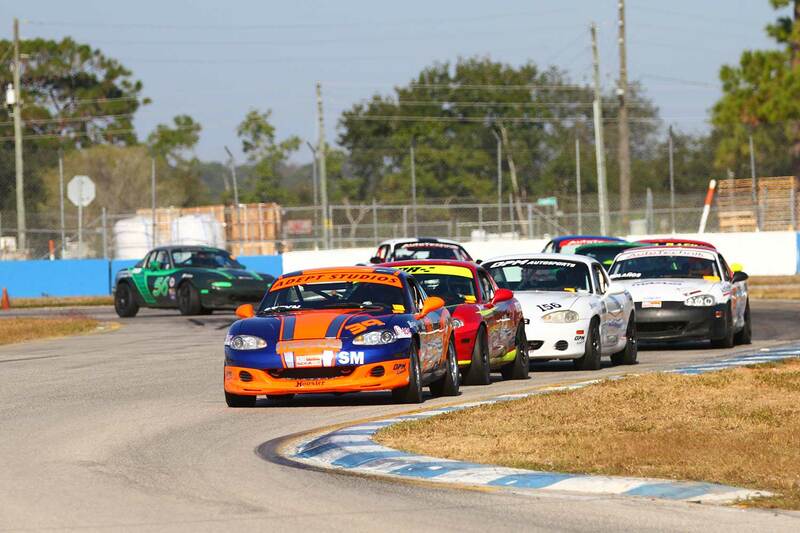 At the start of Race 1, Steyn got to the lead ahead of Selin Rollan and Preston Pardus. 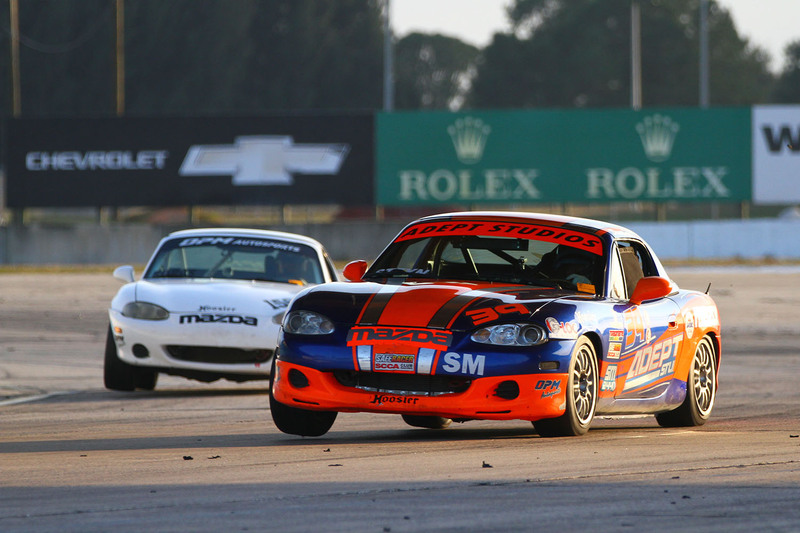 On the back straight at the end of Lap 2, Pardus pushed himself and Rollan past Steyn. Steyn got back past Pardus and the three of them ran nose to tail for the rest of the lap. Steyn triumphed by 9/1,000ths of a second over Rollan with Pardus less than a second behind in 3rd place. The top 3 drivers were all Rossini powered. 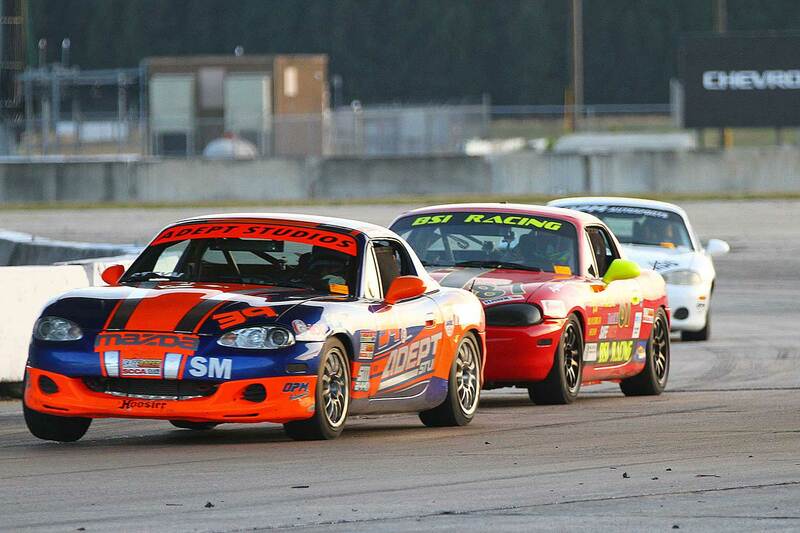 Watch the last 3 laps of Spec Miata Race 1 with Danny Steyn, Selin Rollan and Preston Pardus! With four laps to go Buras had closed in on Steyn and Buras and Rollan was closing fast. 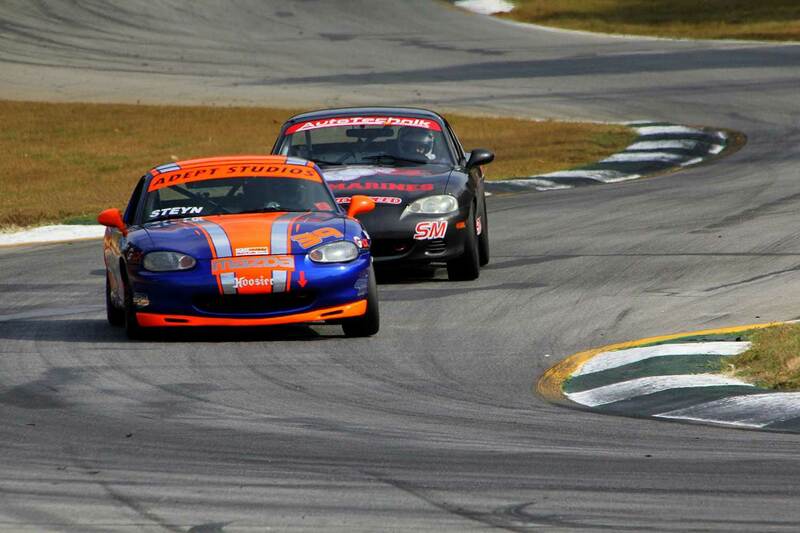 Buras got alongside Steyn several times and was finally able to complete the pass coming into T3 on the 2nd last lap. Steyn pressured Buras the entire lap, and got past him on the back straight. By now Rollan was on their bumper. Rollan passed Buras into T3 and started to pressure Steyn, but Steyn was able to hold him off and they finished with Steyn first, Rollan second and Buras third. 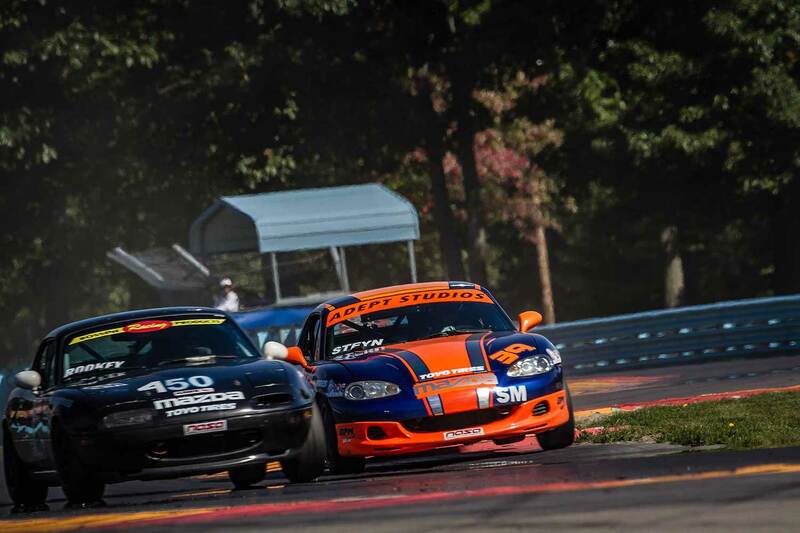 Watch the last 4 laps of Spec Miata Race 2 with Danny Steyn, Todd Buras and Selin Rollan!